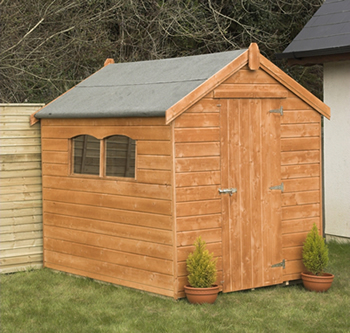 This SHIPLAP SHED represents Good Value and is Stylish enough for most Gardens. Can also be supplied with Onduline Sheeting for those exposed sites. The Shed also comes with a Window which can be fitted either side. Unlike some manufacturers, we use Tongue & Grooved Timber in the Floor and Roof and in Pressure Treated Sheds we use Pressure Treated Tongue & Grooved Timber in the Floor & Roof.